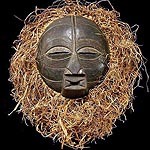 None of these masks show signs of having actually been danced. Despite their appearance, they were probably made to be sold. 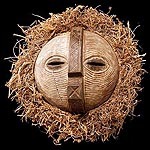 Of the several different mask types used by the Luba, this type of bowl-shaped mask elaborated with parallel grooves was worn with a raffia costume and danced in male/female couples representing spirits, kifwebe, which connect this world with the spirit world. 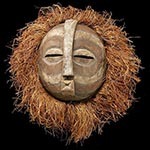 Masks like these were used to mark important periods of social transition and transformation, they appeared at the death of a chief or other eminent person.